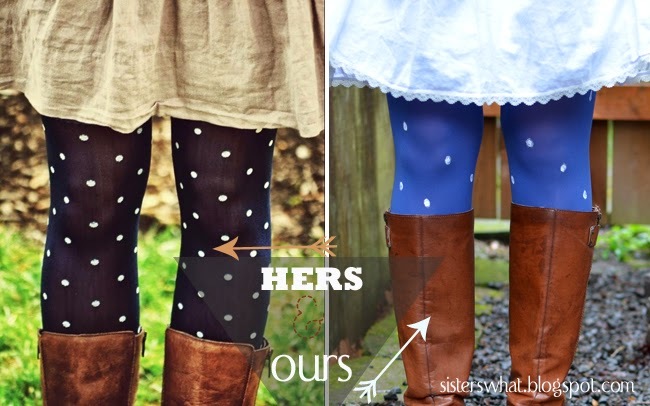 ' Polka Dot Tights [Pinterest Challenge Saturday] - Sisters, What! I don't really consider myself a stylish person. I might have a cute shirt or sweatshirt or dress, but it takes a considerable amount of effort to really pull off a great outfit that is comfy and cute. But, that rarely happen, because comfy usually wins. Anyway, along with my love of scarfs, I also love tights. I probably have as many tights as I do scarfs. Seriously. They're great because they're usually inexpensive and take up little space. Plus they can add a pop of color to any outfit; basically it works as great as a scarf. But the best part is....I don't have to shave!! yep, I hate it and I'm very proud of my hairy legs during winter time. 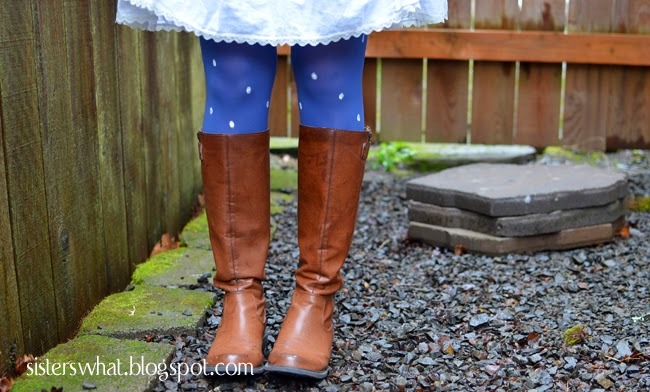 *Bella Blog didn't make her own tights, but after not being about to find some that I liked, I figured that we could make some with fabric paint and store bought tights. First put on your tights and put on a good movie. Then starting with your feet, dip the end of the pencil/pen cap into the paint and then onto your tights. Do this all around your leg up until your desired point. We did it just past the knees since that's wear our skirts go to. Let dry. You can do a pattern like my sister, or you can do yours random dots. Easy. Ridiculously easy. And here is a pictures of my legs afterwards. Painted and hairy. I took this picture and my husband asked if I was planning on sharing my hairy legs with the world. I told him "I am not ashamed of my winter hairy legs." 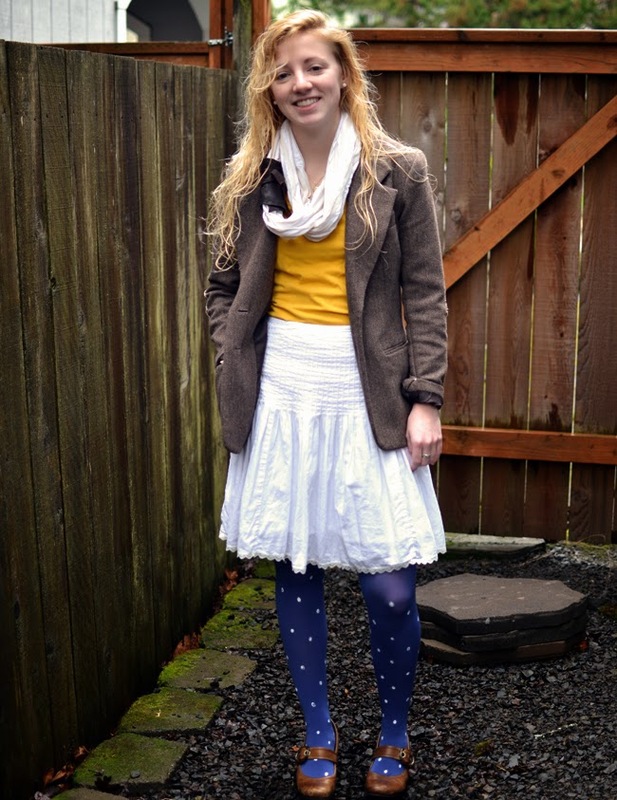 Here's the beautiful Sierra showing off the tights. These turned out so cute! Thanks for sharing with us. Hahaha... love the painted winter legs photos. 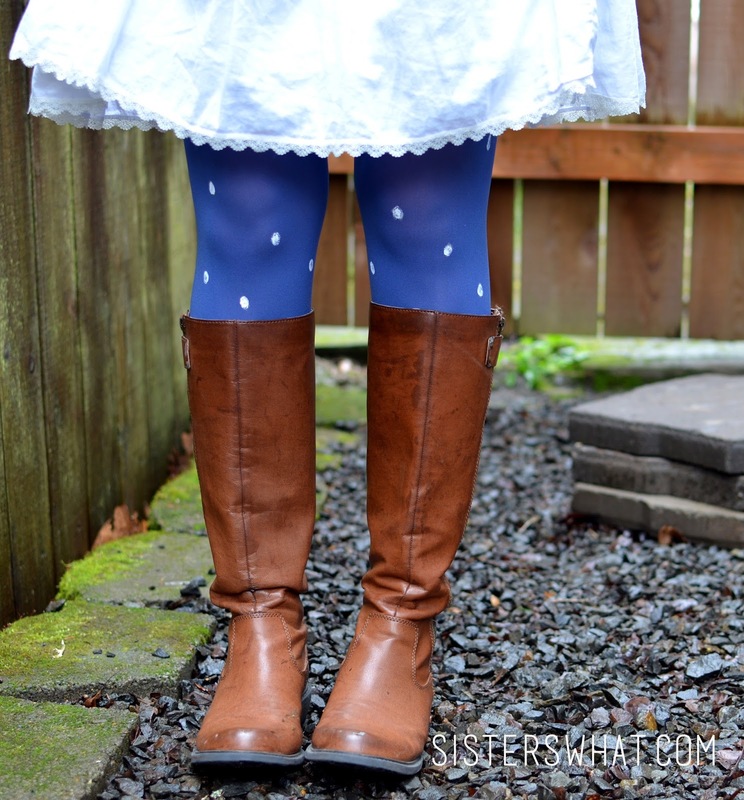 And those are some cute tights! Yay! 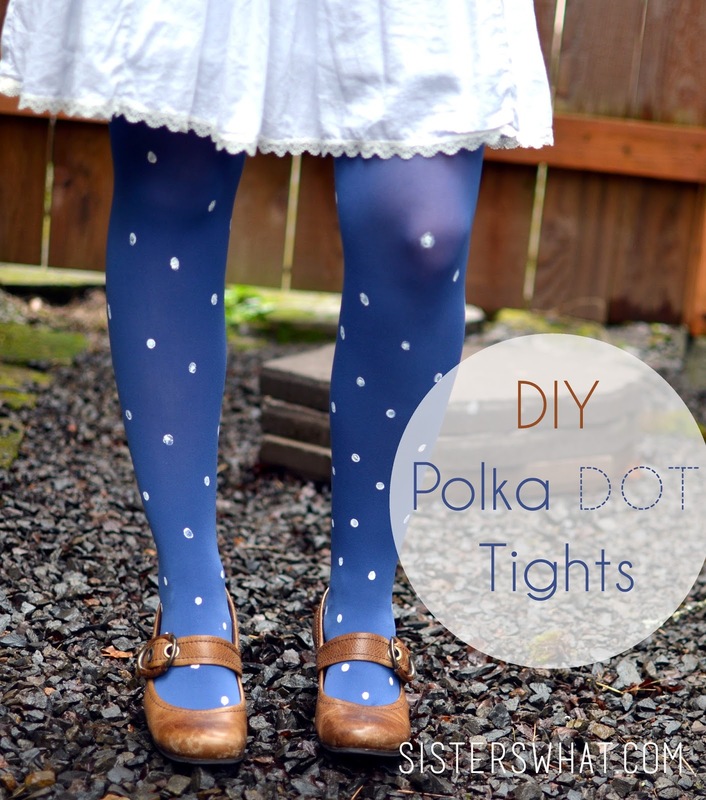 Guess who is making polka dot tights!!!! awesome! please take pictures, I'd love to see them! hey, this is a perfect thing for a girls evening at home! perfect look!